This is a post that I have been meaning to write for what seems like forever! I have two 'go to' concealers, MAC Mineralize concealer in NW15 and Collection Lasting Perfection concealer in Light 2. 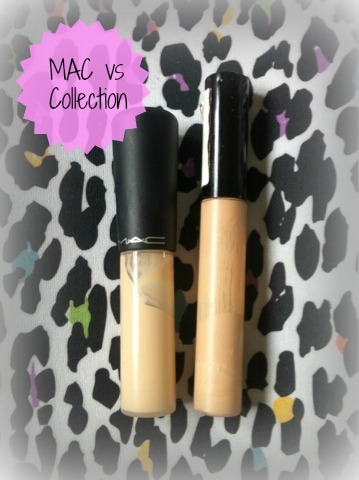 Obviously there is a bit of a difference pricewise between the two, and although they are quite similar concealers, I like them both for different jobs! 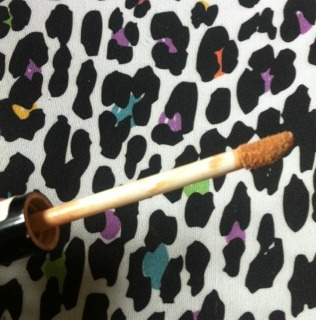 I got this concealer in December and it's still going strong. I use the tiniest amount every day and a little definitely does go a long way. I like the packaging. Yes I get excited over nice packaging.. It's dinky enough to chuck in my makeup bag and the matte black looks really chic. The applicator is a little brush, which is really good for putting this under the eyes because it doesn't drag. It also just feels a lot softer to put on your face. The shade is perfect, not too pink toned and not too yellow toned. It lasts well on the skin without looking dry, and it's quite a moisturising concealer. It doesn't cling to any dry patches, especially on blemishes, but I do find that it doesn't cover blemishes all that well. I prefer to use this product under my eyes and to cover redness. This retails for £16.00 but for me it's worth every penny because I use it every day and it still hasn't ran out! The packaging. Who hasn't slated the packaging? It rubs off soo easily! I also find it gets very worn when I just chuck it in my makeup bag, which makes it look tatty. Personally, the applicator doesn't do much for me, I just don't like this kind. I previously had this in shade 1, and although I used it up I felt it was too pale for me and in a way highlighted my blemishes, which is not what I wanted. So I picked it up in this shade, which is too dark for me. Even blended out it can still look a little orange and you can see the gradient between this and my foundation. So a major downside for me is the colour range. However, it covers my blemishes and redness really well. It's more full coverage than the MAC concealer and lasts longer throughout the day. But, and it's a big but, it is so drying. I don't get on with it for this reason. It looks flakey, dry and cakey on my blemishes as soon as I put it on. I've tried putting it on with my finger, a brush, just around the blemish, on top of the blemish but nothing stops it looking dry! It's also too thick for me to use under my eyes because it creases quickly. 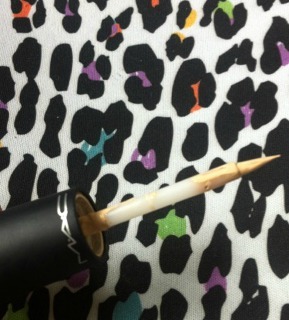 Now I've tried the MAC concealer, I don't think I'll go back to this, but if you're on a budget maybe this could be the one for you. It retails at £4.19 which is exceptional! Have you tried any of these concealers? What is your favourite?